On the morning his award became public knowledge, some prices for a book by J. M. Coetzee, who now adds the phrase Nobel Prize for Literature to his letterhead, increased more than 60% from $500 to $800 for first edition copies. Overnight. But what, from these secondary marketplace deals, does the author receive? On the morning when J. M. Coetzee received the news that he won the Nobel Prize for Literature, his first novel Dusklands immediately repopulated the bookselling aftermarket. Private owners and booksellers prepared cherished copies for launch. Rare copies of his novel surfaced in unexpected locations - as well as the customary locations where the literati convene and whoop for joy (or shake their heads) when recognition finds of one of their own - and prompted crushing interest. One of the more well-respected booksellers in the used book market tracked the sudden interest and movement in Coetzee's prize-winning novel. This online bookseller - based in Canada - specializes in rare editions and secondary market sales and reported the spike. According to Marci Crossan at Abebooks, prices for copies of Coetzee's novels listed on their site (www.abebooks.com) on that day were ranging from $1.67 for a secondhand copy of Disgrace, to $800 for a rare first edition of Dusklands. Crossan commented that on the morning of the announcement "our websites listed 1,947 copies of novels by J. M. Coetzee, and 44 copies of his hard-to-find first novel Dusklands." John and Sandra Berryman, booksellers in Ormand Beach Florida who have been selling on Abebooks.com since 1997, hold the $800 copy of Dusklands. As for why the rare novel is currently priced at this level, Mr. Berryman noted, "This book was his first, published in 1974 by a small press in South Africa, called Raven's Press. I've got the first printing of the first edition and it was a small print run. It was also a long time before his second novel came out so people weren't yet holding onto his books." Mr. Berryman had already received several offers for the book since the Nobel Prize was announced. "I had it listed at $500 [the day prior], and as soon as I heard the news and calls started coming from book collectors and dealers, I raised it to $800. It will be interesting to see what the market will bear." But what of the author? Unlike the film industry which pays residuals to actors, producers, and the collective creative team responsible for a film, documentary, or television production, what compensation for his labor does this prize-winning author receive? Other than the Nobel committee's cash award of 10 million kronor, or about $1.3 million, which to some might seem plenty, the question about author compensation for secondary-marketplace sales remains unanswered. For Coetzee the future looks bright and he may not need to concern himself about these aftermarket issues. When confronted by an event of this magnitude, few authors would worry about the state of the resale industry. About the award, Coetzee (pronounced kut-SEE-uh) commented in a statement, "I received the news in a phone call from Stockholm at 6 a.m. It came as a complete surprise -- I was not even aware that the announcement was pending." 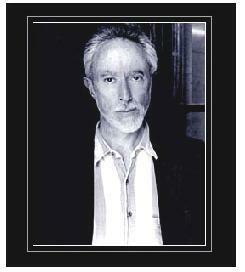 On awarding the 2003 prize for literature to him, the Nobel's academy citation noted, "There is a great wealth of variety in Coetzee's works. No two books ever follow the same recipe. Extensive reading reveals a recurring pattern, the downward-spiraling journeys he considers necessary for the salvation of his characters." John Maxwell Coetzee, the son of a sheep farmer, was born in Cape Town in 1940. In 1960, after the Sharpville shootings -- in which police fired on demonstrators and 70 people were killed -- he left the country for a decade, according to the AP. He worked for IBM in England, earned a doctorate from the University of Texas in Austin, and currently teaches at the University of Chicago. Other novels by J. M. Coetzee include: In the Heart of the Country, Waiting for the Barbarians, Foe, Life and Times of Michael K, The Master of Petersburg , Disgrace, Boyhood, Youth, and his recent novel, Elizabeth Costello. Rare editions by this author are available from many rare book collectors and from online booksellers. We thank online bookseller Abebooks and Marcia Crossan for contributing to this report. We note that Abebooks is quite bookseller-and-reader friendly as a result of their partnerships with Amazon, Barnes & Noble, and eBay/Half.com. The Abebooks site's ease of navigation presents well-organized information on used books. Visit their sites for more information about Abebooks, based in Victoria, BC Canada. In North America (Abebooks.com), the UK (Abebooks.co.uk), France (Abebooks.fr), and Germany (Abebooks.de). Ready to read WSQJ - and what is WSQJ? you'll want to read Word Smitten's Quarterly Journal. Look for the premier edition of this special magazine this winter. Available soon at bookstores, newsstands and online. Be a Charter Member and Subscribe! What else do you get when you subscribe? In addition to a monthly electronic newsletter, you'll be a Charter Member of our new magazine, the WSQJ. In our Winter 2004 issue, we feature Thisbe Nissen. You'll read a special contribution written by her to help us launch the WSQJ. In our Spring 2004 issue, our cover story is Frank McCourt, author of Angela's Ashes - winner of the Pulitzer Prize. Don't miss a single issue of the WSQJ! At Word Smitten, we are dedicated to bringing you great information that you'll be able to use to enhance your writing career.